We know that breaking into the publishing world is not an easy task: who better to give you tips and insights than a Conde Nast Publishing Director? 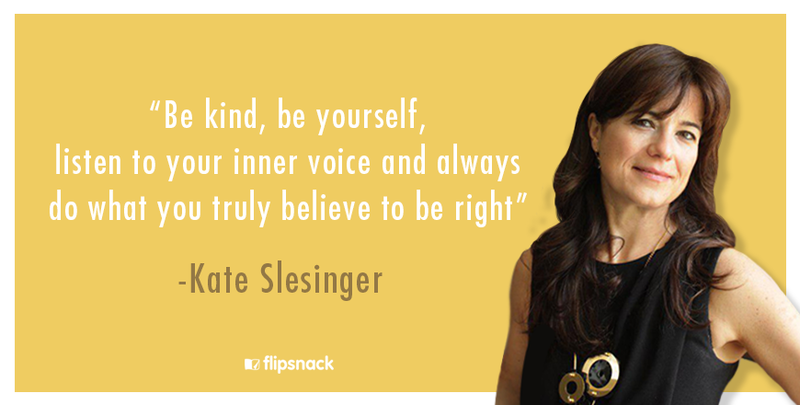 We have a special interview with Kate Slesinger, Publishing Director of Tatler and Vanity Fair. I met Kate a few years ago in London when I had the opportunity to work for her. Apart from being an amazing mother and wife, she is one of the most hardworking, disciplined and creative people I had the chance to work for and learn from. Last week I asked Kate Slesinger if she would kindly offer us an interview, answering a few questions which I’m sure you will find interesting reading as well as something from which to benefit. I’m going to cut to the chase and leave the interview here, in full length, for you to read, learn and get motivated by this amazing lady. 1. I know you’ve been working as a publisher for Conde Nast for more than two decades. Tell us a bit more about how you got into the publishing business? I started my career as a graduate trainee at J Walter Thompson advertising agency, part of WPP. My MA degree from Cambridge University was in Modern & Medieval Languages, so not remotely vocational, though mind-broadening and intensely interesting. In one of the numerous interviews I had in order to land my first job, someone very successful at Saatchi & Saatchi told me that it’s not your first career choice that determines your professional path, but your first career decision. He was so right! Having satisfied my need to give voice to my creative side as well as the more cerebral and business-like half of my brain, I decided that dreaming up communications plans for the likes of KitKat and Listerine at JWT – first in London and then for three years in New York – was not for me. 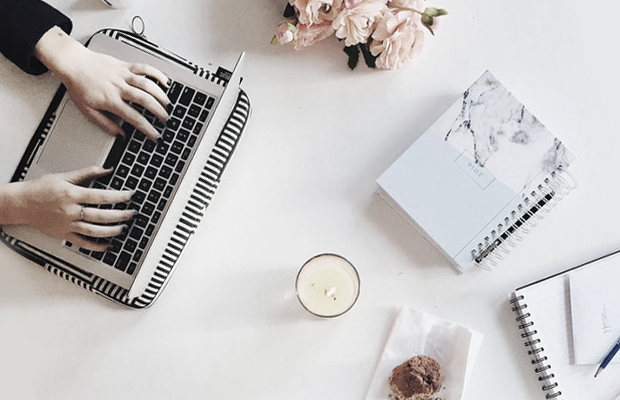 I moved back to London, securing a job in a small Fashion PR agency, which provided the stepping-stone I needed to make the move into glossy magazines. I was fortunate enough to meet the then Publishing Director of Vogue at a press launch, and the very next day I was in his office being offered a job on British Vogue! That was 1994 and it took a while to work my way up the ladder, but since then, I’ve worked on Condé Nast Traveller, House & Garden, Tatler and Vanity Fair, all in the position of Publishing Director. 2. Can you give us a flavour of the working day of a Conde Nast Publishing Director? No two days are the same! A large part of my role managing a multi-million business across the Tatler and Vanity Fair platforms involves securing, building and nurturing client relationships, and there are myriad ways in which these interactions can happen. Breakfast might be at Cecconi’s or The Wolseley with the Managing Director of Chanel or Tiffany, discussing plans for the forthcoming season, always with a view to how our titles can collaborate. Lunch might be at Little House, Mayfair, with the CEO of one of the ad agencies we sell to, talking about business generally; a recurring topic is, of course, the meteoric rise of digital and social media, and what our brands are doing in that space. Very often, I’m asked to a press launch or an event, say for a new fragrance or store opening or relaunch after refurbishment. Tatler and Vanity Fair are incredibly socially-oriented, so often the one doing the hosting is me! 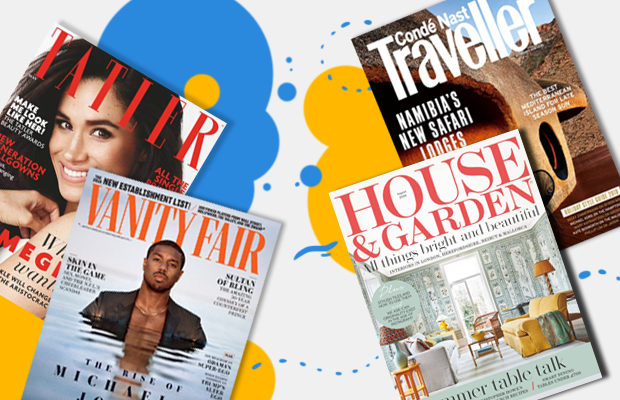 We give parties for all the industry sectors, from Travel to Watches & Jewellery, to celebrate – for example – a particularly relevant print supplement or book launch. Interspersed between the wining and dining, there’s a lot of face time, with my team, with other departments in Condé Nast, with prospective candidates and would-be prospectives for roles in the industry. It’s a good day if I’ve helped someone get a toe on the ladder, struck a new business friendship, worked with my colleagues to solve a challenge; but the best days are those when I do all these things and get to see my children awake either end of the day. 3. What is the best part about your job? There are so many fantastic aspects to a career in glossy magazines. If I had to pick just one, I’d say it’s the fact that I’m constantly learning new things, constantly stretched and challenged, and always able to tap into the Zeitgeist thanks to being in this environment. 4. What about your biggest challenges? Whilst I absolutely love the management side of my job, it does present some of the greatest challenges too. Understanding the different preoccupations of the next generation, and avoiding the temptation to dismiss them, is really important: these people are the future of our industry and it’s important to listen to them. At the same time, one wants to be heard and for the years of experience to be put to good use. I am very much in favour of an open-door policy in the office, where any member of the team can come and talk about what’s on his or her mind. However, it does mean that frequently, my ‘day job’ of answering e-mails and conversing with clients, is pushed to late in the evening, after my children have gone to bed. As a result, my assistant is now forcing me to close my office door sometimes! 5. The publishing landscape has changed a lot since you started your career. What is the main difference in your job today vs 20 years ago? Well, for a start, technology has completely changed the speed with which everyone does business: I remember everything used to be so much slower in the era of fax machines and landlines. I can hardly believe that we would write and print out letters to people in those days, where now a quick e-mail will do. For the publishing industry, technology has dramatically reduced the turnaround time, the speed with which we can get messages – whether editorial or advertising – out there. At Condé Nast, our brands are still underpinned by print editions in most cases, which imposes longer lead-times, but here too, technology has facilitated production enormously and has radically changed the way in which images, for example, are committed to paper. Digital and social are here to stay, whereas twenty years ago, advertisers didn’t have that option. We now think in a 360 degrees way about how best to fulfil our clients’ marketing goals and performance criteria, and that involves all the platforms at our disposal, including experiential, which is the latest area of growth to watch. 6. Print vs digital. War or coexistence? Without a doubt, the two must co-exist and feed each other. Vogue conducted some research a couple of years ago into the combined effect on purchasing habits of exposure to digital as well as print advertising: not surprisingly, Vogue readers who were also users of vogue.com displayed increased likelihood to buy fashion and other items, and spent more on retail as well. Where there is really strong journalism and an element of curation, there will be print. 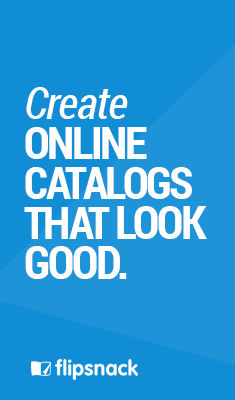 Digital can expand upon and illustrate ideas and trends: it’s an encyclopedic medium as opposed to a filter. 7. What do you think of social media today? What is your relationship with it? I love the freedom of expression that social media offers, and the fact that it has spawned a whole new generation of journalists, aka bloggers, and a new media currency, in terms of followers, likes and shares. When used judiciously and responsibly, it can be a brand enhancer. The new buzzword for us commercially at Tatler and Vanity Fair is ‘dark posts’, which don’t appear on our feed, but which advertisers love because it links them to our brands. These, in conjunction with a considered .com and print campaign, can really help drive traffic to websites and shape opinion. 8. What inspires you in your work? At the risk of sounding clichéd or pre-programmed, I honestly believe that Condé Nast employs the best talent to be found anywhere in the world. We have a great history and heritage to take forward to new generations, and it’s working with these inspiring individuals – journalists, creatives, digital mavens, video producers, researchers, as well as brilliant commercial people – that gets me up in the morning with a spring in my step. My working life is never boring! 9. What’s the most interesting thing you’ve read/seen/ listened to this week? I just read the draft for a fabulous long-form article we are going to be running in the December issue of Vanity Fair (also available on vanityfair.com). It’s about a member of the British Royal Family, being accompanied on an overseas tour by one of our reporters. I’m sworn to secrecy until the issue is on-sale, but I urge you to buy it, as it’s profoundly fascinating! This week I also went (not for the first time) to the breathtaking new Bloomberg Europe headquarters, designed by Norman Foster, in the City of London. They unearthed an ancient Roman Temple whilst excavating for the foundations, and then went on to construct the largest most sustainable office-building in Europe on top of it. A case of old meets new in the most striking of expressions. As far as listening goes, I’m a Radio 4 die-hard, and listen every day on the way to work. There’s always something to learn or to trigger deep thought in their programming. I am also a fan of our new Tatler initiative, the Tatler Talks podcasts. We’re currently recording our first series on education and child-raising, produced and chaired by our Education Editor, Tori Cadogan. 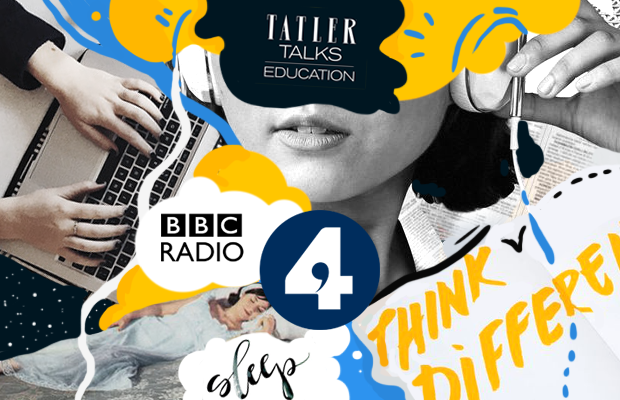 It features prominent head-teachers and leaders of children’s charities, and the episodes I’ve listened to on Perfectionism and Sleep are absolutely riveting. Download on the Apple podcasts app, Stitcher, Spotify or the Entale app. 10. Any advice for a young editor/publisher that is just starting out or is thinking or pursuing this career? Be kind, be yourself, listen to your inner voice and always do what you truly believe to be right.